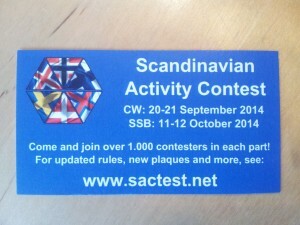 The SAC Contest Committee has updated the contest rules for 2014 and are introducing a Sponsored Plaque Program. In order to speed up the results, we have reduced the log submission time period from two weeks to 7 days. 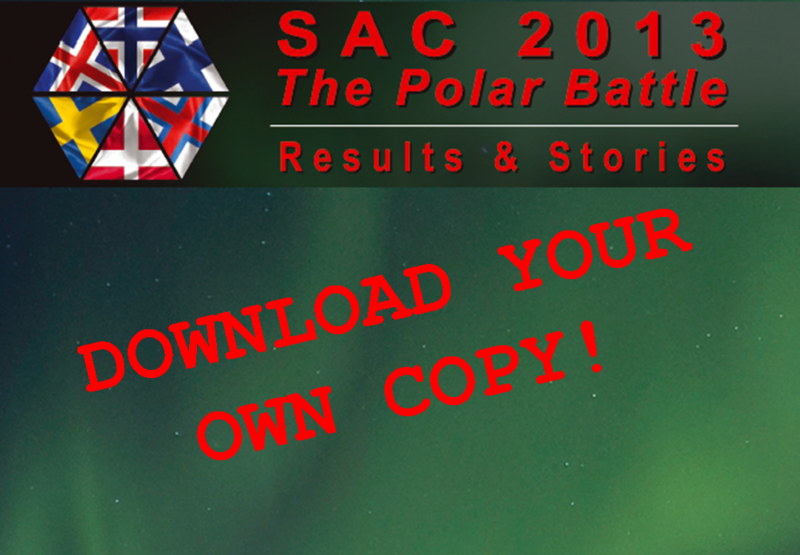 Awards for all participants will be downloadable for printout from the SAC website. No paper awards will be sent out any longer. I addition to the rule changes, we have started a new SAC Sponsored Plaque Program. We hope that several SAC enthusiasts are willing to sponsor one or several plaques from the program. Read more on the SAC Sponsored Plaque Program page! We have decided to end The National Team Contesting Trial (for Scandinavian teams). It was hard to form full teams in all countries each year, but the upside was that we got very fine experience from the use of the real time scoring system at cqcontest.net together with live video transmission from the teams. So we encourage all participants to use the cqcontest.net real time scoring service extensively during SAC. Real time scoring adds a lot of excitement during the contest and it’s fun for “the spectators” as well. See you all in Friedrichshafen next week! SM5AJV SAC CC Team Leader will be there. You will find him near the SSA booth, stand number A1-843 . Come and have an eyeball QSO about SAC and contesting! 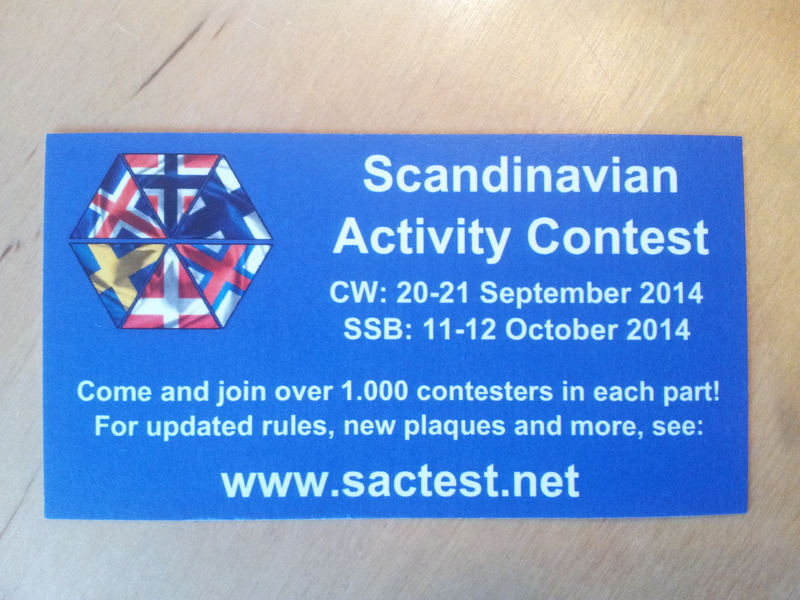 Take some of our promo-cards and spread the word about the Scandinavian Activity Contest among your friends!